Thirty miles out to sea on the quaint island of Nantucket, you will find an ivy covered shop called Milly & Grace. This is where our story begins. After graduating from college and working in retail for several years, Emily married her passion for fashion with her knack for business and opened up her own boutique, named after her grandmothers. With the sassy and sweet personalities of her two grandmothers as inspiration, Emily curates her collection to maintain a balance between contemporary trends and timeless pieces. When the shop first opened, Emily hired her younger sister, Caroline, as a sales associate and began to teach her the entrepreneurial ropes. After her college graduation, Caroline was ready to expand the Milly & Grace brand to follow her childhood dream of becoming a wedding planner. Now, the Milly & Grace brand is one part shop and one part weddings! 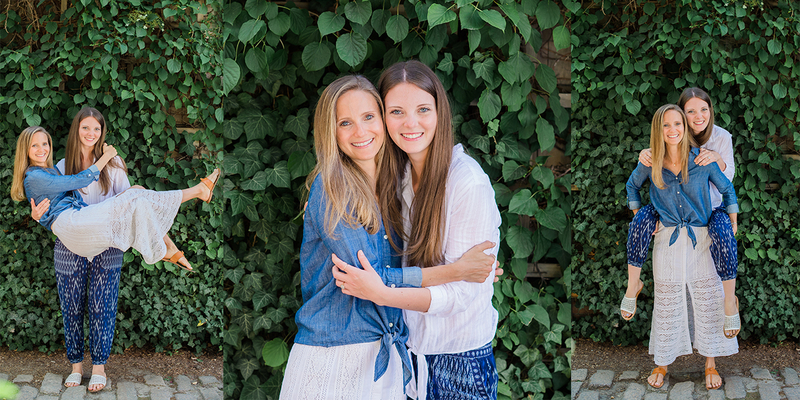 Milly & Grace is a brand deeply rooted in family and it is at the heart of everything we do. It began many years ago with our grandmothers. Now, our Milly & Grace family extends beyond kin to our customers, clients, employees, and community. The value we place on family represents wholeheartedly wanting to lift our Milly & Grace family up and lend a helping hand the way the sisters encouraged and supported each other in chasing their dreams. By honoring our grandmothers, Milly & Grace represents the women who have paved the way before us. Through the brand’s services, Milly & Grace hopes to honor, encourage, and support the women who are living their dreams right beside them and those who are just beginning the journey of chasing their own dreams. We are here for you and we believe in you.